The jury in the Tipperary murder trial has heard that while Patrick Quirke claimed he was "always afraid of Mary Lowry", he pursued her after Bobby Ryan disappeared and wanted to re-engage on going on family holidays together "as if Bobby Ryan had never entered the picture." Continuing his closing speech to the jury, Michael Bowman SC for the Prosecution asked if it was a coincidence that the notes found on an A4 sheet of paper retrieved from Mr Quirke's study from gardaí were "a template" for what he suggested he told gardaí in an interview. The note contained such details as 'how she found the van so quick', and how he had asked if she was certain a car hadn't entered the yard that morning and that she said she was certain as she'd have heard it. Mr Quirke said he found the answer "quite strange." "This is Mr Quirke engaging in a narrative in terms of what he wants to communicate about Mary Lowry," Mr Bowman claimed. Patrick Quirke (50) of Breanshamore, Co Tipperary has pleaded not guilty to the murder of Bobby Ryan (52), a part-time DJ known as Mr Moonlight on a date between June 3 2011 and April 2013. 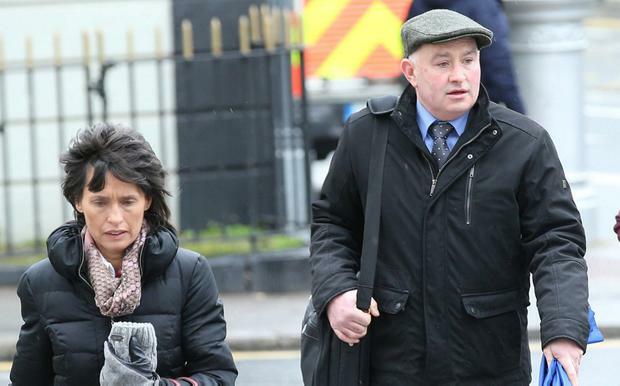 Mr Bowman told the jury that Mr Quirke's house had been searched on May 17 2013 and the A4 sheet had been retrieved by Garda John Walshe who spent three and a half hours in his office, emerging with printed phone records, lease documents and the notes made by Mr Quirke. It contained indentations on it, Mr Bowman reminded them, recalling how analysis had found handwriting saying: "What the guards will know", with an indentation on the rear that said "dispose of clothes\phone\any other evidence." When guards came to his house that day with a warrant to gain entry, Mr Quirke had told them: "The media were wrong, so, when they said the clothing and wallet were found in the tank with the body." Mr Bowman said that the document was "not the easiest to read in the world" but that it contained a lot of what was said in the garda interviews. "Is it a coincidence he has a template for what I suggest he says in the interview?" he asied. "Is it a coincidence he has answers of what he wants to communicate to the gardaí because this document was not retrieved until May 17," he put it to them. "There's an uncanny resemblance between that document and what he conveys to the guards," he said. Later, Mr Bowman touched on the internet searches for human decomposition and how these had been put to Mr Quirke. He told them that if he knew where the body was he would be able to lift the lid of the tank and have a look. He claimed that he had conducted the searches because his son died. Mr Quirke said the article suggested the remains would be skeletonised after two years and that the body he saw in the tank was not a skeleton. Mr Bowman told the jury that Mr Quirke had told the gardaí that their suggestions 'didn't make sense' that he wanted to check on the condition of Mr Ryan. He had said that Fawnagowan was 'a remote location', one he had 'unlimited access to' and that he could 'choose his time' - that you wouldn't go out and do it on a Saturday morning. 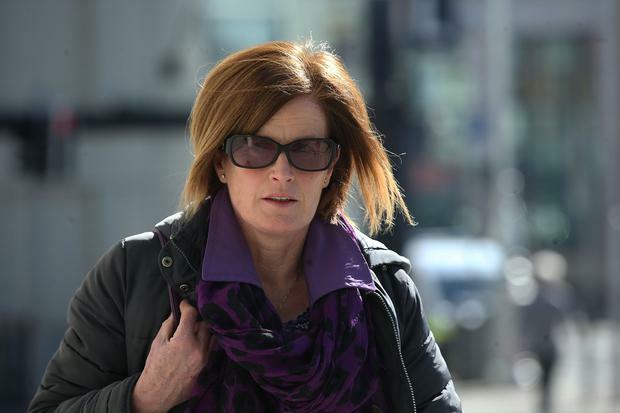 "I suppose that's a fair comment isn't it," Mr Bowman told the jury. Mr Quirke had suggested to the gardaí that he could have covered it all up with a mound of earth. "Is that the next best alternative to doing what he did," Mr Bowman said. However he said that there was no way he could have done this without attracting attention - and said that it may have caused problems if the next person who leased the property was a dairy farmer and wanted to use the pit. "They'll need a run off tank and then lo and behold, they'll say 'isn't it much easier to dig out the old tank' and they find the remains - that's a whole other kettle of fish he said." "That is the position he found himself in and why I suggest he discovered it himself," Mr Bowman said.